Trouble in Tibet – Walk The Talk – Red China’s Road Block. Peaceful Conflict Resolution in Occupied Tibet is impossible while Red China erects Road Block halting The Walk for Talks. Trouble in Tibet – Walk The Talk – Red China’s Road Block. 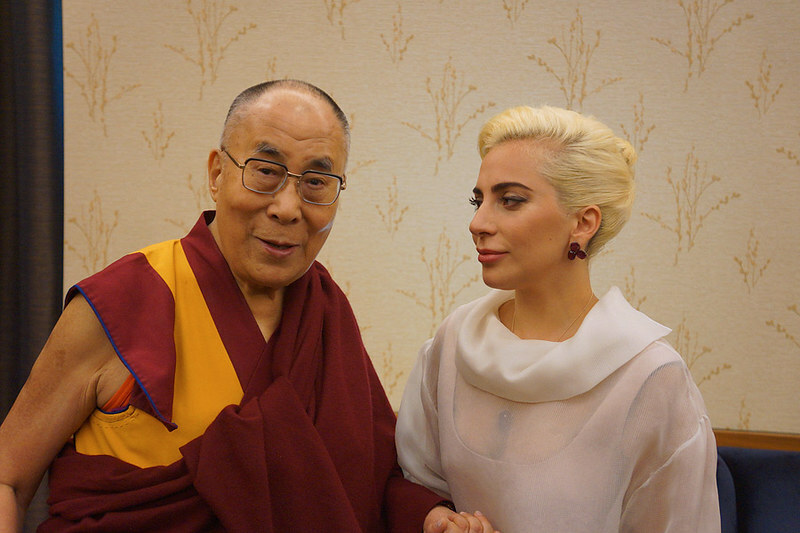 Dalai Lama and Lady Gaga talked about the role of compassion to resolve conflicts in changing world. If China is Unwilling to Talk, How to Walk The Talk on Peaceful Conflict Resolution??? The Road Map for Peace and Reconciliation in Occupied Tibet is presented as “UMAYLAM” or Middle Way Approach. However, Red China is unwilling to talk or negotiate with the Dalai Lama on the issue of introducing ‘Meaningful Autonomy’ in Occupied Tibet. While it is commendable to recommend ‘TALK’ as a tool for Peaceful Conflict Resolution, how to get Red China to Walk to The Conference Table??? If China refuses to Talk, How to Walk The Talk on Peaceful Conflict Resolution??? Trouble in Tibet – Walk The Talk – Red China’s Road Block. 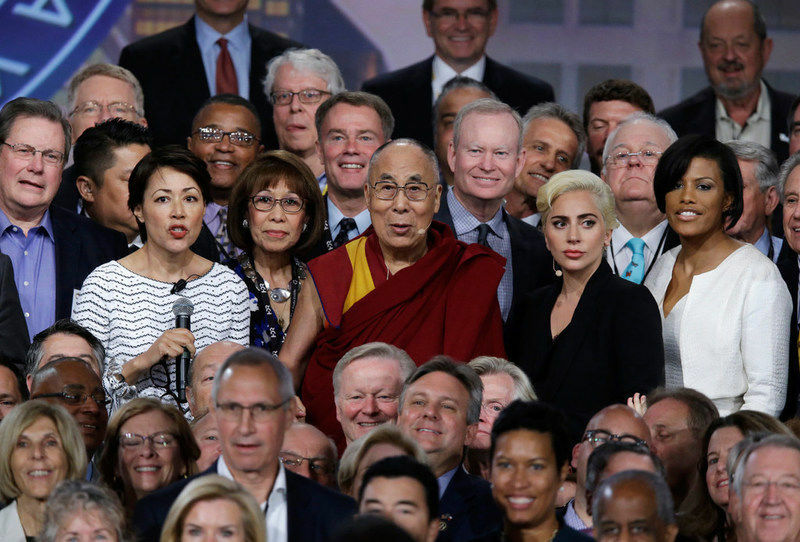 The Dalai Lama and Lady Gaga at the U.S. Conference of Mayors in Indianapolis. If China is Unwilling to Talk, how to Walk The Talk on Peaceful Conflict Resolution??? The Dalai Lama and Lady Gaga pose for a photo with mayors attending the U.S. Conference of Mayors in Indianapolis on Sunday. The message was simple, but in the midst of a presidential campaign filled with mean tweets, name-calling and a general air of nastiness, it sounded downright revolutionary and refreshing. That was a theme of the keynote address delivered by the Dalai Lama Sunday at the U.S. Conference of Mayors annual meeting in Indianapolis. According to an Indianapolis Star report, in a discussion that followed the address, the Buddhist leader, along with entertainer Lady Gaga and philanthropist Philip Anschuwitz, talked to more than 200 of the nation’s city mayors about the importance of being kind in a violent and angry world. He said that people are compassionate by nature, and that enemies can be the best of friends.He also noted that the time has come for America to be the leading nation in the promotion of human compassion, human love in order to achieve compassionate world. While there are compassionate people to be found in communities such as ours, there is no denying that the national discourse has deteriorated over the years. That’s thanks in no small part to a Congress where inflexibility is prized, demonizing the opposition plays well and failure to compromise on such mammoth challenges as immigration reform is the norm. And four months from the election of a new president, things are certain to get even uglier and more divisive. In a panel discussion short on policy proposals and heavy on philosophy, the Dalai Lama called the 20th century the century of violence,and suggested that the 21st century should be one of talk. That sounds good to us. Now if only he can get certain folks in Washington, D.C. and on the campaign trail to listen. Trouble in Tibet – Walk The Talk – Red China’s Road Block. 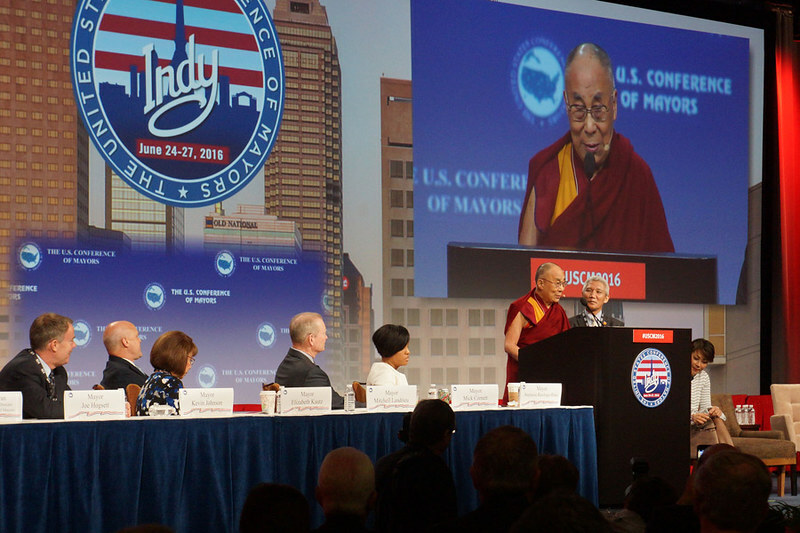 His Holiness the Dalai Lama at the U.S. Conference of Mayors in Indianapolis. If China is Unwilling to Talk, How to Walk The Talk on Peaceful Conflict Resolution??? Trouble in Tibet – Walk The Talk – Red China’s Road Block. 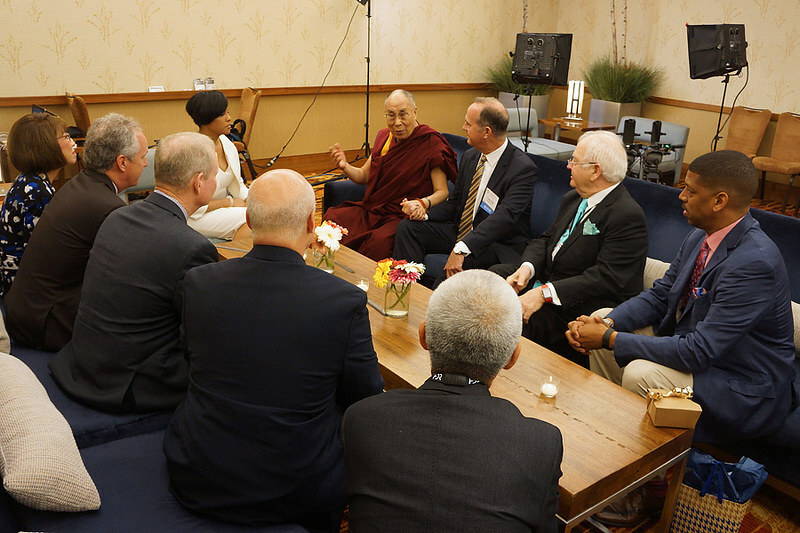 His Holiness the Dalai Lama and Lady Gaga talked about Compassion at the U.S. Conference of Mayors in Indianapolis. How to get Red China to the Conference Table??? Trouble in Tibet – Walk The Talk – Red China’s Road Block. His Holiness the Dalai Lama at the U.S. Conference of Mayors in Indianapolis. How to get Red China to The Conference Table??? Trouble in Tibet – Walk The Talk – Red China’s Road Block. 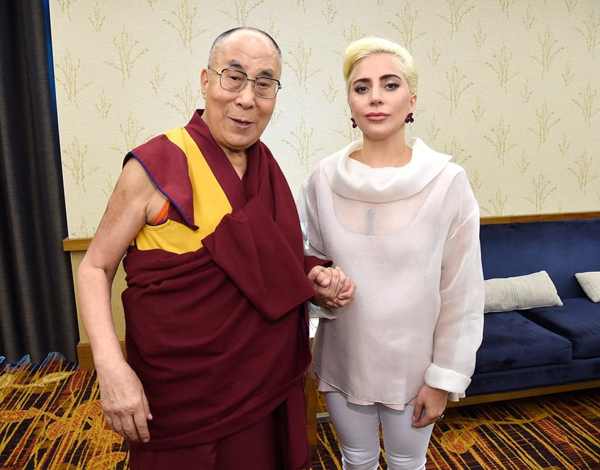 His Holiness the Dalai Lama, Lady Gaga, and the U.S. Mayors held Talks at the U.S. Conference of Mayors in Indianapolis. The Talks are Over. Who is going to Walk The Talk?? ?